Normally at this time of summer, Florida residents can look forward to the local magnolia and honeysuckle in bloom. This summer, another Florida bloom is getting national attention; a massive overgrowth of algae from Lake Okeechobee has spread wildly and led Governor Rick Scott to declare a state of emergency in the surrounding counties. The vibrant blue-green algae bloom is known as cyanobacteria and is so bright it is visible from space. It also smells strongly of manure and is extremely toxic. The algae is reportedly caused by contaminated runoff, some of which contains human waste from nearby residential septic tanks and excess fertilizers. The algae bloom, currently covering 33 square miles, is spreading into the St. Lucie River from Lake Okeechobee. Some neighbors blame the Army Corps of Engineers, which releases water from Lake Okeechobee into the river in order to adjust pressure that could otherwise damage the lake’s dike. Emergency measures are being taken to prevent the algae from moving downstream and contaminating the Atlantic Ocean. According to the Florida Department of Environmental Protection, the algae can harm the health of plants, animals, and humans who come into contact with it. Its toxins can cause rashes, vomiting, and even organ damage in humans. The dense covering reduces the sunlight and oxygen levels in the water, leading to a slow death for the fish and plant life. A 2013 algae outbreak in the Indian River killed over 120 manatees. On June 29, 2016, Governor Scott issued an executive order declaring a state of emergency in St. Lucie and Martin Counties. 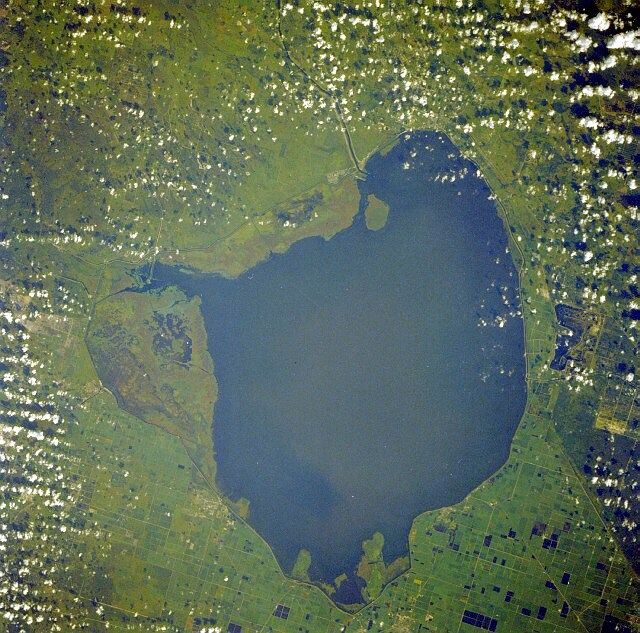 The order gives state and local government agencies the power to reduce the flow of water into Lake Okeechobee in order to slow the spread of the algae blooms. It also directs the Florida Department Environmental Protection and the Florida Fish and Wildlife Conservation Commission to step into action by quickly surveying the area and sampling the areas affected by blooms. Florida’s waterways cover more than 50,000 miles and are subject to billions of gallons of wastewater discharge every day. Federal regulations like the Clean Water Act and its National Pollution Discharge Elimination System place the responsibility on municipalities and industries to account for the wastewater they release into the public waterways in order to prevent public health threats like the current algae bloom. Compliance with regulations requires accurate, reliable laboratory testing that are appropriate for a given situation. For example, organic materials and oils and fats may require different testing methods. There can also be ways to test more than one aspect of the same compounds; a water testing professional can help determine what testing methods are most appropriate. Phoslab Environmental Services is a central Florida expert in wastewater testing and also offers a full range of other environmental lab tests. We are certified by the State of Florida Department of Health, the State Surgeon General, and NELAP and serve a broad range of industries. To learn more, call (863) 617-7943.